Have you heard? Maybe not. That would be too bad because you'd miss out on all the fabric goodness. 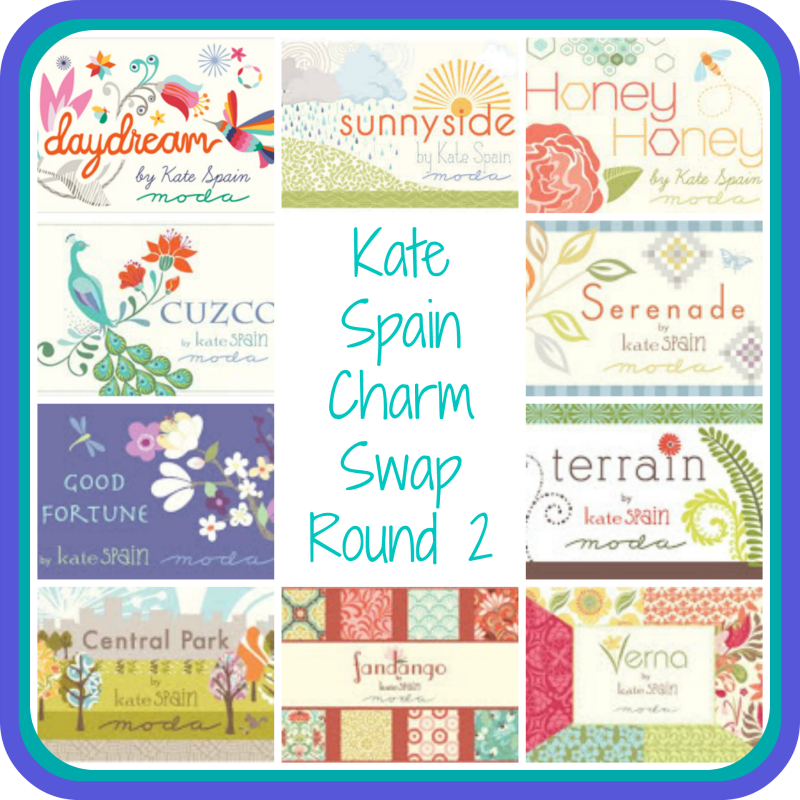 The spots are filling fast for the Kate Spain Charm Swap Round 2. There are a few spots left though so if you want in you should email me fast. I mean...how pretty is this picture. And how can you resist? 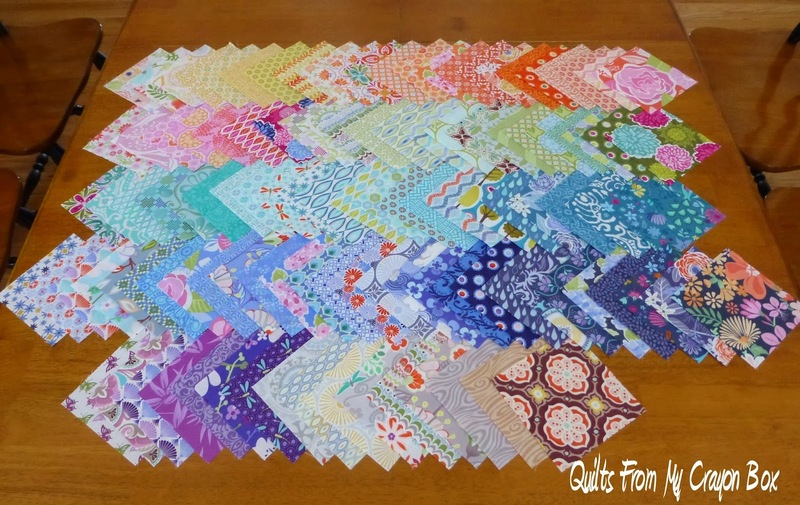 Just imagine the gorgeous quilt you could make with this stack. 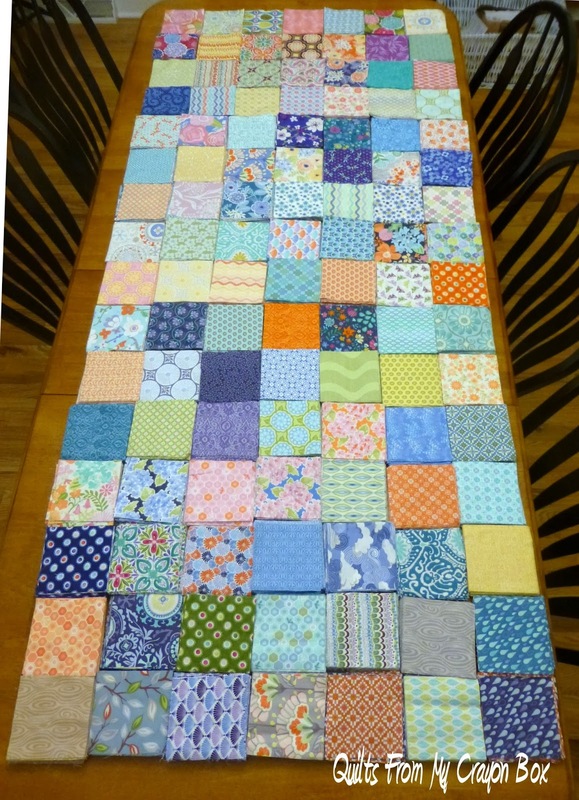 Or maybe you'd want to make a few tote bags for you and your bestest friends, a huge pile of mug rugs to share with all your neighbors or a set of place mats and a table runner to grace your table this spring. Either way, if you snooze you lose. Send me your info today. Just make sure that you check all the fine print here so that you know all the important details and also remember to check the Flickr photo page, the list of fabrics used in Round 1 and the Round 2 fabrics used list before you pick your fabrics so that you don't choose prints that have already been used. There is going to be a special little surprise in your package for all participants. If you are a Kate Spain addict like I am, you'll want to be a part of this.